Sitting: Valerie Jarnigan, Savannah Jarnigan, and Jay Jarnigan. Standing: Amanda Kirby and Jennifer Jarnigan. Savannah Jarnigan, a senior at Grainger High School, signed with Tusculum College. Upon graduation, she will attend Tusuculum College, and she will join the Tusculum cheer team. 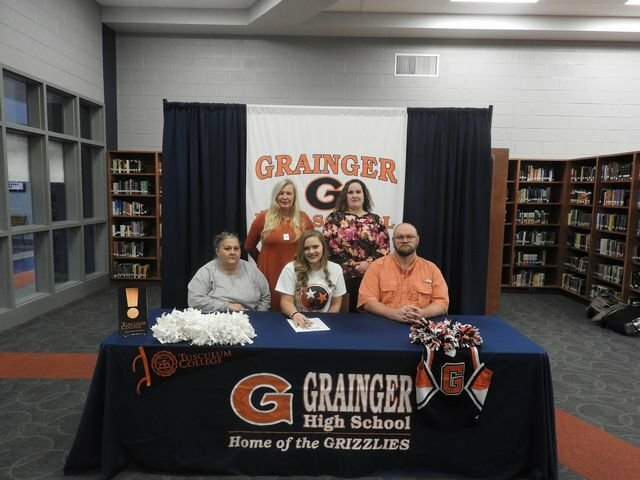 Jarnigan is pictured with her parents, Valerie Jarnigan, Jay and Jennifer Jarnigan, and Cheer Coach Amanda Kirby.